Following an initial Buy2LetExpert free consultation and a cost/benefit analysis for a property, a decision may be made to plan the project in more detail. This phase must not be underestimated. Careful planning reduces costs by minimising mistakes and the time taken for the project the maximising returns. Should the initial free consultation be interesting to both sides, Buy2LetExpert would initially seek a refundable deposit to produce a detailed evaluation of the recommendations for the property together with a detailed breakdown of the costs involved to achieve the desired objectives. Depending on the situation, the recommendations for the property may encompass very few or many of our services. For example the property may just need a little cleaning and clearance followed by some improved marketing utilising decent photography. Another property might need a new bathroom or kitchen and/or a more efficient improved heating system with pressurised balanced hot and cold water feeding power showers. All these things would be discussed in detail with the client taking special note of the cost/benefit of the proposal. 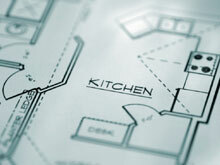 The planning process identifies the areas where improvements will generate the maximum returns. A solid oak floor may be a must in Kensington but a real wood laminate may be sufficient in Balham because in Balham there will be not rent gain from the solid would floor! All decisions are therefore taken within the context of the profile of the potential rental client. No money should be invested unless there is a decent return! Buy2letExpert have years of experience of achieving this objective. It is simply the absolutely most central objective while planning a project demanding that every penny spent achieves a profitable return. Poor decorations. Quite clean but low standard. Very “cold” feel Redecorate using whites and off whites giving warmer feel. Estate agent attempting to market the property without improvements Fire the agent! Use Buy2LetExpert to rectify the problems before marketing and securing quality tenants.